We combine social media marketing, mobile websites, search engine optimization, and website analytics to create an end to end local online marketing solution. Last year, there were over 1.5 billion local searches on Google. Did you know that 92% of consumers turn to a search engine or social media network before they actually decide to contact you? 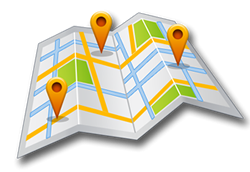 Even more astounding is that only 27% of businesses actually have a local search engine marketing plan in place. Mobile devices are now the #1 way people access local info. Is your site mobile-friendly? Almost half of all Americans now have smartphones and are increasingly using them to search for products and services. Is your site prepared for this type of customer? We utilize the latest technology to create search friendly mobile sites to drive customers to your door. Better understand your customers and how they use your site. Through our analysis, we offer actionable insights into the traffic to, and engagement with your website which ultimately will lead to increased ROI from all of your efforts. Learn more about Website Analytics. People spend more time on social networks than any other type of site. Social media is great but it is even better when it is combined with a real marketing strategy. We will help you create and maintain business profiles on Social Media networks such as Twitter, LinkedIn and Facebook Fan Pages, as well as local marketing sites such as Google Places.